Surah 66: At-Tahrim (Banning, Prohibiyion), Verses 001–012. 1. 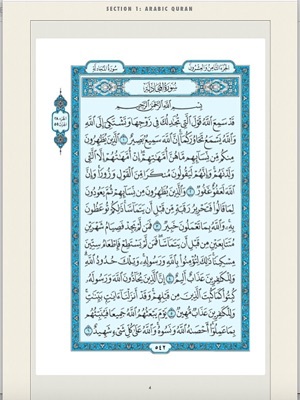 The Holy Quran in the beautiful Uthmanic Script for those who are able to read the Quran in Arabic. 2. An abridged english version of Tafsir Ibn Kathir that has been translated by a group of muslims under the supervision of Safi-ur-Rahman al-Mubarakpuri. 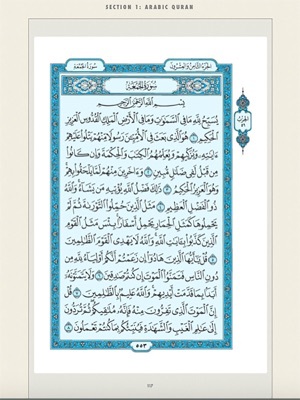 In the Tafsir section of the book, I have provided transliteration of the Arabic text for those who are unable to read the Arabic script. This will give them a sample of the sound of the original Arabic Qur'an, which they could not otherwise comprehend from reading the English meaning only.